granted SJBS permission to reproduce their Stitch Transitions guide, originally printed in the October 2007 Issue 81 page 75, as the handout for our April 2019 program. 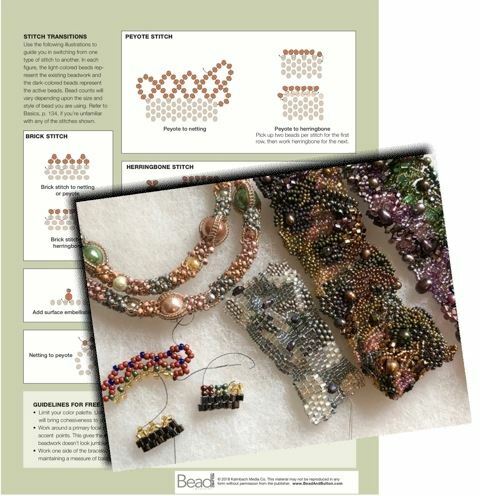 And one lucky attendee may win a full year subscription to Bead & Button Magazine!! Besides a bead mat, needle and thread, bring an assortment of single-hole bead sizes, shapes, and colors for practice.